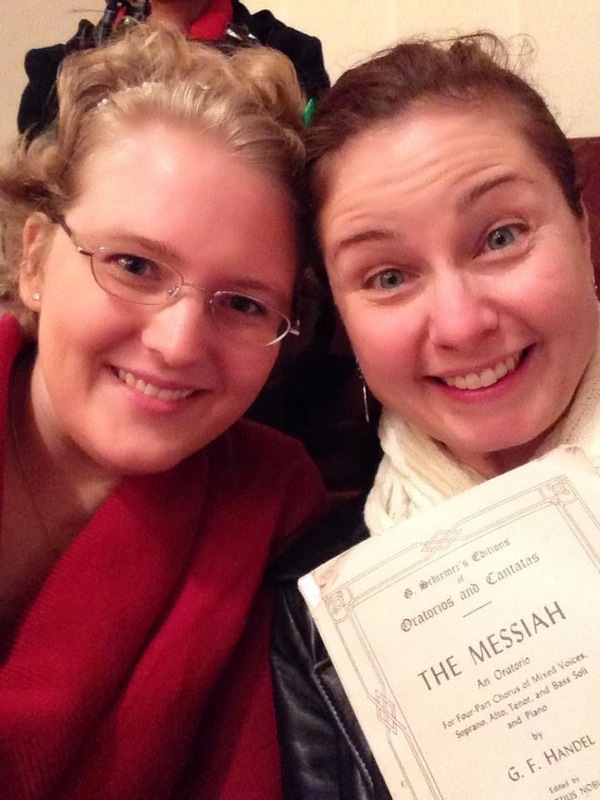 Each year, the Kennedy Center in DC hosts a free Messiah sing a long on December 23rd. I’d never been before, and my friend had mentioned going early on in the month. Little did I realize the draw that Handel has on people! According to employees at the Kennedy Center, folks start lining up when the center opens at 10am to get their free tickets for an 8pm show! People play board games, picnic, and hang out all day. We were a little later, arriving at 4pm. We parked in the Kennedy Center parking garage, which was around $20, and got in line, which at this point, wrapped 4 times around the Hall of Nations and was wrapped around the outside of the building. Finally, it was time for the 8pm start. There’s a choir, orchestra, four soloists, and the audience, which is part of the choir. You can bring your own score, or they were selling them inside the Hall of Nations while people got their tickets. Luckily for me, my friend not only came with serious pipes, but her own copy! The entire audience, despite some of them having been at the Kennedy Center for over 10 hours at this point, are all in very high spirits and the atmosphere is truly festive. When it’s your “turn” to sing, the director will turn to face the audience and direct you. It was a lot of fun. We left after the Hallelujah Chorus, but the whole experience is probably about 2 hours long from start to finish, with some time for introductions, 50 minutes for the first section, a 15 minute intermission, and 50 minutes for the second section. This was a lot of fun, and I’d definitely do it again! We saw lots of kids in the audience, but I think if it were me and there were enough adults to make it work, I’d have the adults wait in line and one adult bring the kids a little closer to show time (remember, each person in line can get 2 tickets, so you only need 1/2 of your group in line for tickets at any point in time).